How do I add a contact to my Address Book? This article is meant to assist you with the extendedReach Address Book. 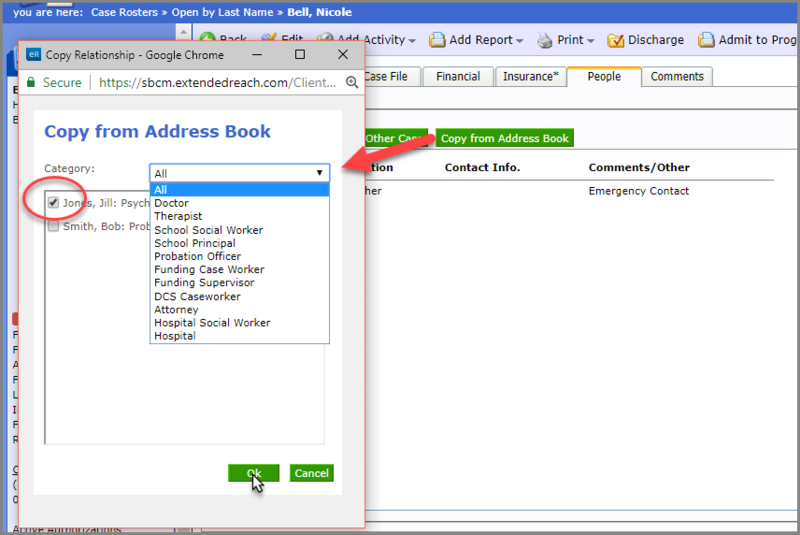 The Address Book is where extendedReach stores all contact information for Cases and Homes. Each agency maintains a centrally located Address Book to allow for simplicity and accuracy when updating contact information. 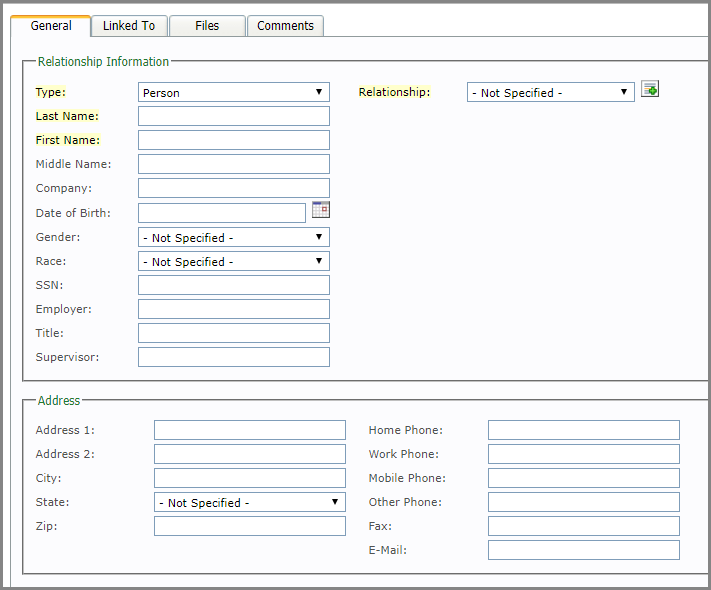 This also allows staff to view all clients who are associated with a particular contact. 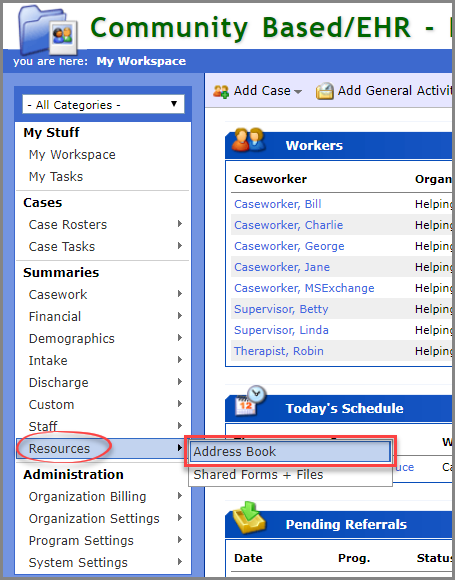 From your Workspace, the Address Book is found within Resources under Summaries on the left side of the screen, otherwise knows as the Side Menu. A User who wishes to Add a Contact must have the appropriate Security Settings to do so. To allow access, an Agency Administrator will check “Manage Address Book” option under Security within a User ID. For more support with User IDs see Related Topics. From the Address Book, Click on “Add Contact”. Complete General Information. Highlighted fields are required. Press SAVE. You can always go back into this screen by pressing Edit. Be sure to Save your changes. Click on the People tab within the Case or Home. Click on “Copy from Address Book” to open existing Address Book Contacts. When searching for a contact, you can narrow your search by first selecting a category. From there, you will place a check-mark next to the contact you want to link to this Client’s Case File. The linked relationship you’ve created, between the case and the contact, now appears on the People Screen. If there is a small book icon next to the contact name, this contact comes from the Address Book. 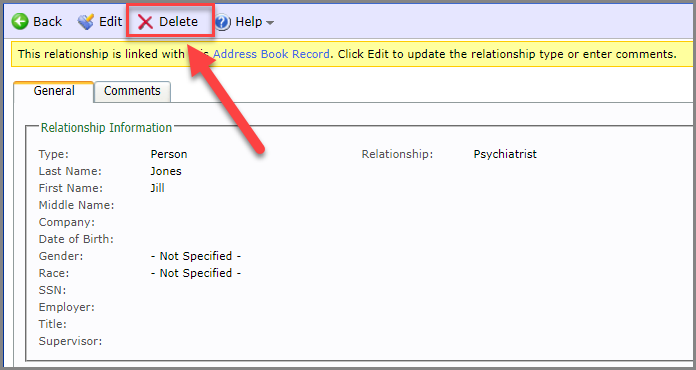 Should you wish to delete a relationship link between a case or home and a Contact, simply click on the People tab to open the Relationships. From there, click on the Contact you wish to un-link. Click on Delete. This does not delete the contact from you address book, it simply deletes the relationship to your home or case. This screen shows the relationship has been deleted between this Client’s Case File and the Contact.